Par is the term for the number of strokes that an accomplished golfer should require to complete any particular hole. Pars for each hole can range from three to six (yes, six). Par also refers to the total number of strokes that same accomplished golfer should require to complete the course. Par for the course is the sum of the pars on the individual holes. On every hole, two of the stokes are reserved for putts; the remainder is the number of strokes allocated for reaching the green “in regulation.” On a par five therefore, a good player is expected to travel from tee to green in three shots, and putt twice to finish. With a par four, it is two shots from tee to green and two putts. Distances for par have changed somewhat over the years. When par was first standardized in 1911, a par three was up to 225 yards, and a par four set at no more than 425. By 1917, par threes were up to 250, and a par four, 445 yards. Par fives more no more than 600 yards. In 1961, par threes were still 250 yards and under. Par fours were up to 470 yards. Par fives were anything over 471, with no par sixes. Par originally was a financial term. It can refer to the face value of a bond or the initial value of a stock. The term came into use in golf as the result of an 1870 article in the British magazine Golf. For the article, Alexander Doleman asked Davie Strath and Jamie Anderson what they thought would be the winning score at that year’s British Open at Prestwick. The two said that they thought a perfect score on the twelve hole course would be a forty nine. Forty nine was said by Doleman to be “par” for the course, and in the 36-hole tournament, Young Tom Morris shot two over. Alexander (A.H.) Doleman (1836-1914) was one of four brothers from Musselburgh who impacted the early game of golf. Alexander was elected Captain of Lytham and St. Annes in 1888, just two years after the club’s founding. He is credited with development of the club. William Doleman (1838 – 1918) was the first amateur to enter the Open Championship. In 1854, as a sixteen-year-old sailor, he played a game on the Plains of Abraham outside Quebec city with clubs he had stowed away. William Doleman is thought to be the first to play golf in Canada. John Doleman (1826-1918) brought the Nottinghamshire, while Frank Doleman (1848-1929) was a clubmaker at Bruntsfield Links. What is the definition of Par in golf? 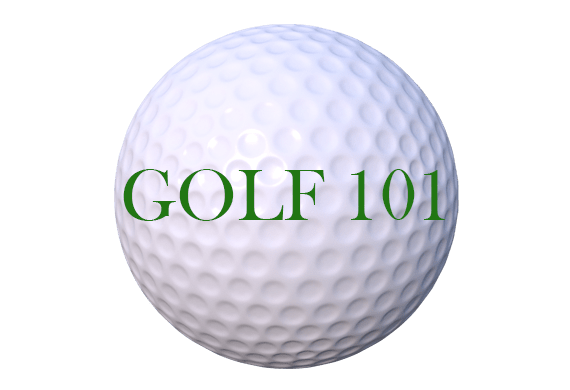 is one of a series of articles for the golf beginner.